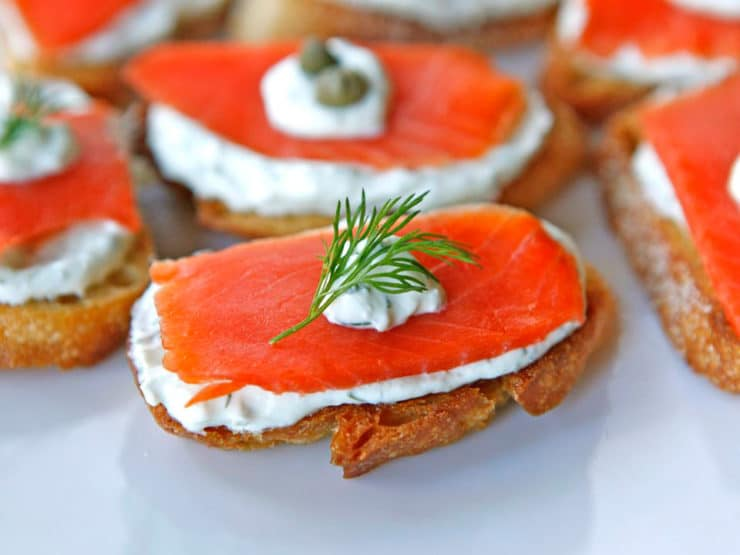 Recipe for Smoked Salmon Crostini appetizer with D-Town Dill Dip and optional garnish of fresh dill, and capers. 1.) Preheat oven to 350 degrees. 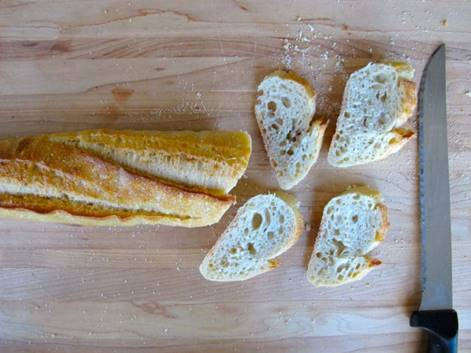 Slice the baguette along a diagonal into 1/4 inch slices using a serrated knife. Do not slice them thicker than 1/4 inch, or they will be difficult to bite through when toasted. 2.) Place the slices on a cookie sheet. Stir together the melted butter and olive oil. If using unsalted butter, add a small pinch of salt to the mixture and stir to combine. If using salted butter, no need to add any additional salt. 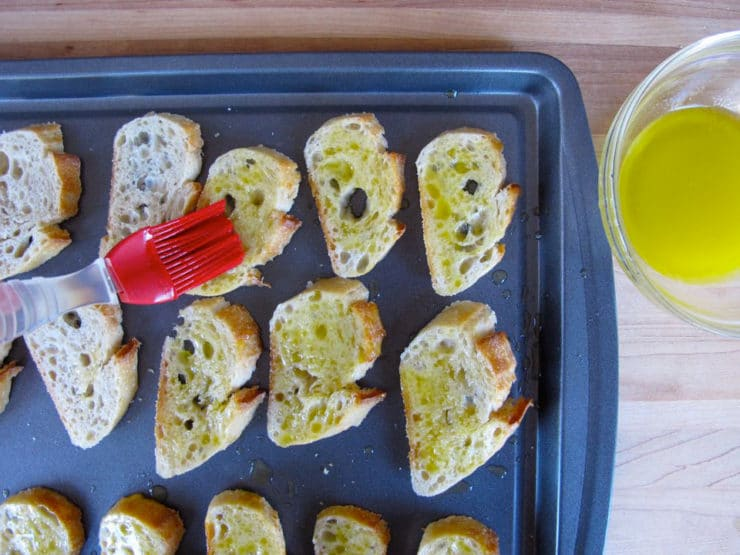 Brush the tops of the bread pieces with the oil and butter mixture. 3.) Place the bread into the oven and let it toast for 4-8 minutes till the bottoms of the bread slices are golden brown and toasted. Flip the slices to check for doneness-- they will brown more on the bottom than they will on the top. While baguette slices are toasting combine 1 cup real mayonnaise and 1 cup sour cream with D-Town Dill pouch. 4.) 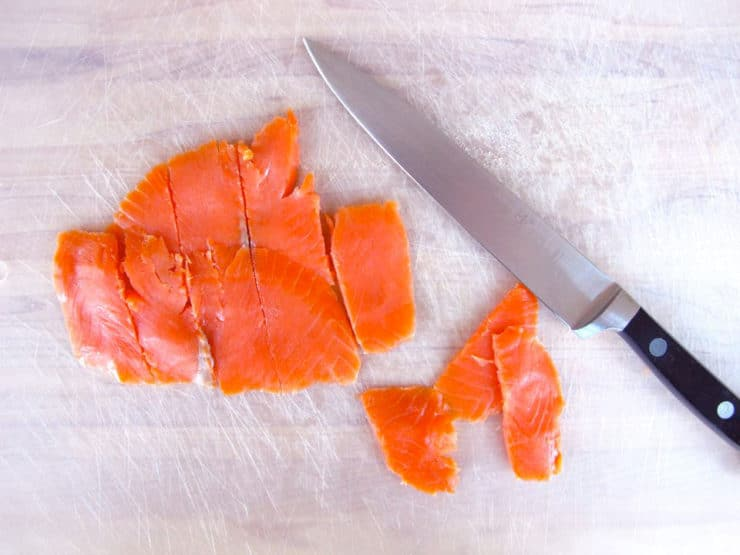 Cut the smoked salmon into pieces large enough to top the baguette slices. 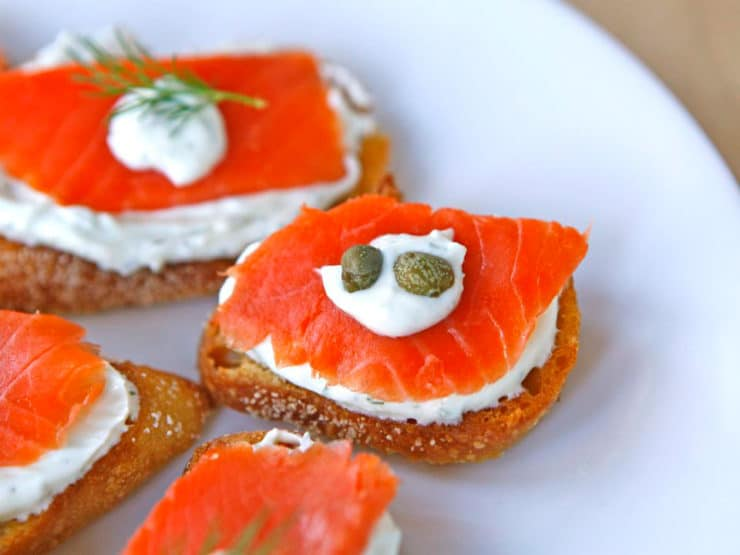 Serve Smoked Salmon Crostini as a bite-sized appetizer.